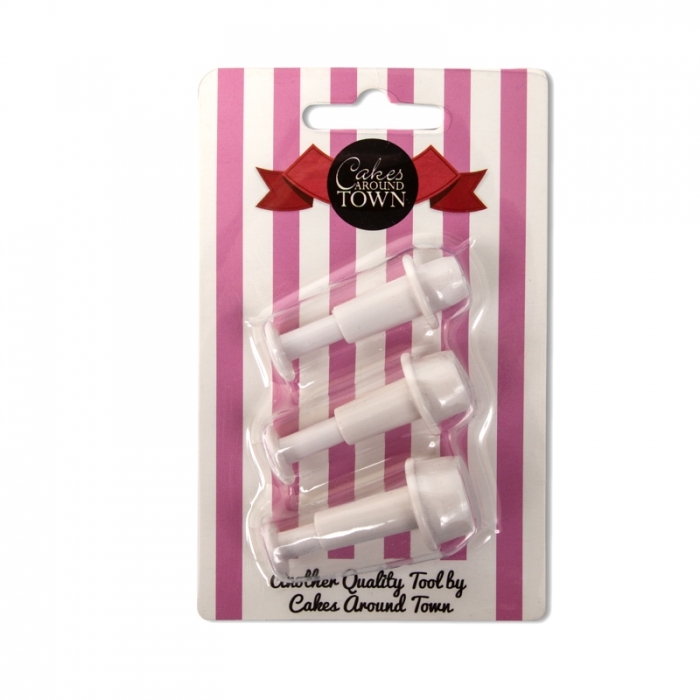 Mini Round plunger cutters Set of 3 comes in 6mm, 10mm, and 13mm. Great for cutting out lots of small circles for sugarcraft. Think eyes, small buttons, polka dots - Makes small work easy and simple. Plungers are easy to use. 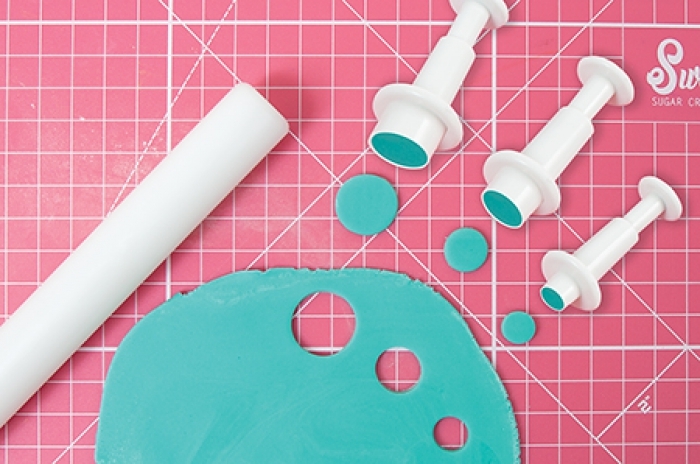 Simply cut the design out of rolled fondant or gum paste without pressing plunger. Then to release the design press the plunger down. COOKIE CUTTER - Guitar 4.5"